Leigh Halfpenny hasn't featured since Wales' November Test versus Australia. 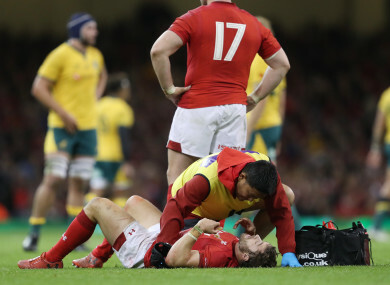 Halfpenny has been out since suffering concussion in the victory over Australia in November and the full-back is not expected to return until the home clash with England on 23 February, at the earliest. Email “Halfpenny, Davies and Williams set to miss Wales' Six Nations opener with France”. Feedback on “Halfpenny, Davies and Williams set to miss Wales' Six Nations opener with France”.